Holborn Stereo will play at main stage at 12:30. More information on Facebook. A charity event organised by Dobrodej z. s..
Holborn Stereo will play on 3rd stage from 6 to 7 PM. 8th March 2019 Amazing gig at zizkovsiska yesterday. Massive thanks to everyone! 28th February 2019 We're excited we will play in Most in September! 24th February 2019 It's a #21stCenturyWeekend on our Twitter (also in Czech, follow @HolbornStereoCZ). 26th January 2019 We've just updated the list of our songs here. We work hard so next time we will play more songs you've never heard before! 10th January 2019 New gigs will be announced soon (Usti nad Labem, Prague, Dresden and more). Stay tuned. 18th December 2018 On Saturday 11th May 2019, Holborn Stereo will play at Utulek Fest 2019 (music festival) in Usti nad Labem, CZ. 17th December 2018 Our first music video is online! 23rd November 2018 We had an awesome audience in Jamm Club. Thanks! 21st October 2018 The guys from Indie Originals have chosen our 'She Talks Too Much' and you can listen to it in their IOL 008 podcast! 24th September 2018 Recording finished and we are getting ready for the gig in Jamm Club, Prague on Friday, 23rd November 2018. 12th September 2018 Our 1st gig announced! We will play Jamm Club, Prague, CZ on Friday, 23rd November 2018. 14th August 2018 We're rehearsing. In September 2018 we plan to record a couple of our songs! 26th July 2018 As a teaser from our rehearsing, listen to our song She Talks Too Much with an incredible bass aka Mr. Hammond. 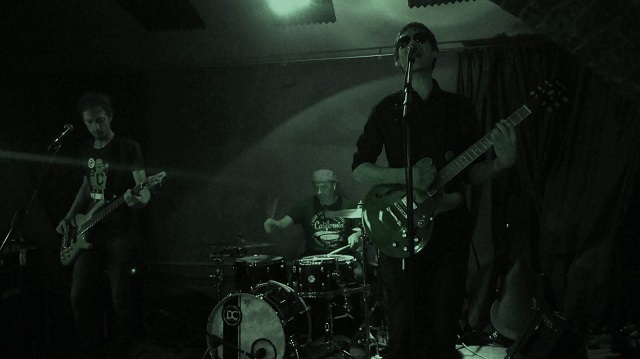 Holborn Stereo is an indie rock band formed in early 2018. The group consists of Filip Prahl (vocals, guitar), Honza Novotný (bass, vocals) and Martin "Máťa" Valter (drums). Holborn Stereo is a mix of all this. It is not a band where there are members just because their instruments are needed. The British sounding and only English sung songs are created by them all. Is it worth waiting for the one? Or rather have more fun? Just to see what no one's ever seen. And the way up above me. Do you like social networks? Follow us there!